New research found that being in a bad mood can help some people's executive functioning, such as their ability to focus attention, manage time and prioritize tasks. The same study found that a good mood has a negative effect on it in some cases. Tara McAuley, a psychology professor at the University of Waterloo, and Martyn S. Gabel, a Ph.D. candidate, explored whether our emotional reactivity shaped how mood influences the kinds of thinking skills we need to navigate the demands and stresses of day-to-day life. Emotional reactivity refers to the sensitivity, intensity and duration of our emotional responses associated with our mood. "Our results show that there are some people for whom a bad mood may actually hone the kind of thinking skills that are important for everyday life," said McAuley. The high-reactive individuals —people who have rapid, intense, and enduring emotional responses—performed better on executive function tasks when experiencing a bad mood. Low-reactive individuals showed the opposite effect, with bad mood associated with worse executive functioning. 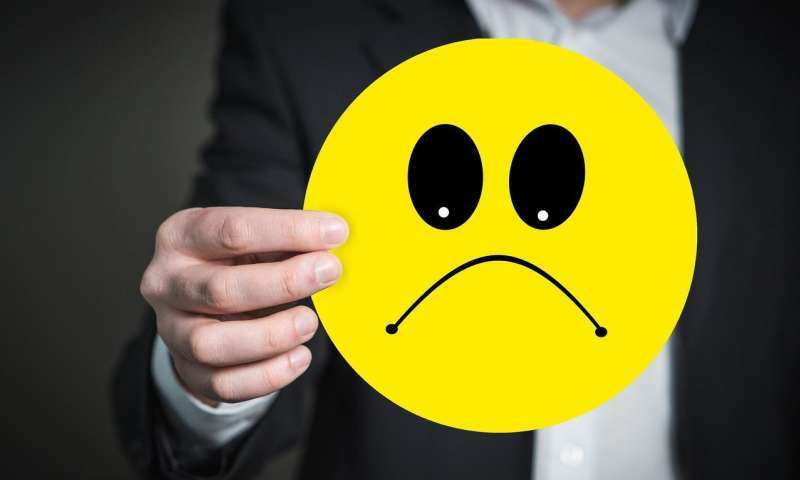 This pattern of results supports the view that a bad mood may help with some executive skills – but only for people who are more emotionally reactive. "People shouldn't interpret the results as saying it's fine to fly off the handle or overreact, or to be grouchy," said McAuley. "We know that emotional reactivity differs from person to person starting at a very early age and that these individual differences have implications for mental health later in development." Further research is needed to explain the relationship, but some studies suggest that high-reactive people are more accustomed to experiencing negative emotions. As such, bad moods may be less distracting for them compared with lower-reactive people. McAuley and Gabel's paper appears in the journal, Personality and Individual Differences. There is a logical progression of this observation: you are likely to be in a good mood because conditions are less serious, less urgent and less important and thus you are able to take in less relevant information, spread your attention, pursue personal goals and behave with less urgency. The opposite must, therefore, be true for the bad mood *providing* the bad mood is a result of the task being performed. For those in a bad mood due to other activities then a person is likely to be distracted and less able to perform a task because their attention is guided to the source of discomfort; to whatever provoked the bad mood.